Interim Buffalo Schools Superintendent Don Ogilive says the District will not accept the released fact-finding report on the Buffalo teachers contract. Buffalo Public School teachers past pickets. "The board can not accept the fact-finding report and we will notify PERB, the Public Employees Relations Board about that," said Ogilvie in a WBFO News interview. "The board can not accept the fact-finding report and we will notify PERB, the Public Employees Relations Board about that," said Ogilvie in a WBFO News interview. "The District has been in negotiations for 10 years, and while much has changed in instructional priorities, the focus has been based on ten-year-old proposals that merely work at the margins of issues that need to be addressed." Interim Buffalo Schools Superintendent Don Ogilvie. The long-awaited fact-finding report was released after midnight embargo. 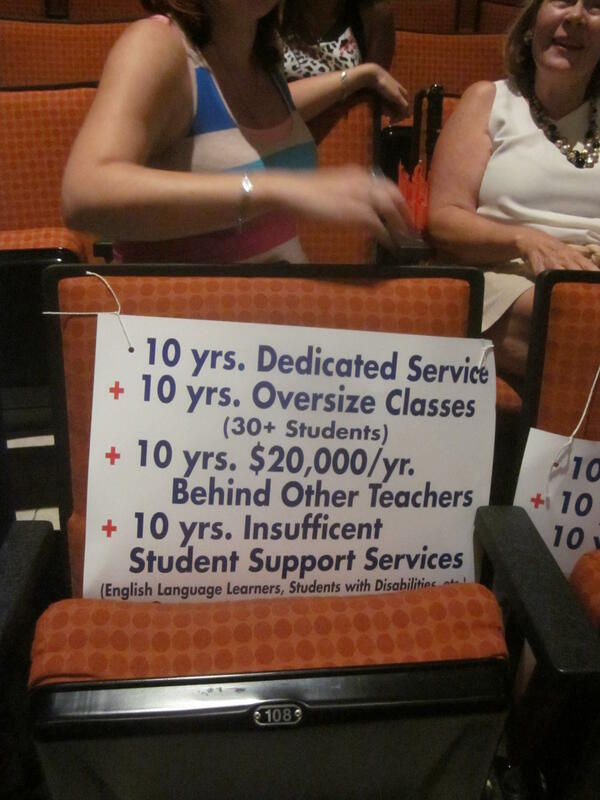 The city teachers have been working without a new contract deal for ten years. The report recommends a hefty-pay retroactive pay raises of 11.8-percent. Ogilvie noted the fact-finding report falls short. "The fact-finders recommendation carries a $100-million dollar cost," said Ogilvie. Buffalo Teachers Federation President Phil Rumore reacts favorably to the report. "Overall it's a very important report and a good starting point," said Rumore. But Rumore said the report does not address class size, something he wants changed. "We would have like to seen reductions in class size in the report. That's critical for us. We are disappointed in that," said Rumore. Buffalo Teachers Federation President Phil Rumore. The District is considering a longer school day, but Rumore disagrees that would help student performance. "Actually a longer school day and a longer school year does nothing, as long as you have oversized classes," said Rumore. But the fact-finding report recommends a committee to review work rules, such as class size and a longer school day. "It's a fair report and good starting point." The report does call for city teachers to pay a small amount toward their health insurance, while eliminating cosmetic surgery. At this point, both sides agree it's time to return to the bargaining table. Rumore and Ogilvie tell WBFO they hope to begin new talks immediately after the New Year. "The day after the winter break we're ready to sit down with the district. As soon as they indicate the times, we will be right there," noted Rumore. "I would love to have this done in the next few months," said Ogilvie in responding to when he would like to complete a new contract deal.